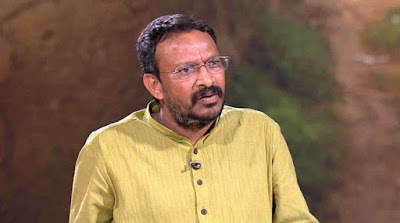 National Council of Churches in India congratulates Mr. Bezwada Wilson, 50 year old renowned campaigner for abolition of the dehumanising practice of manually cleaning human excreta and toilets, being honoured with the Ramon Magsaysay Award 2016 for "asserting the inalienable right to a life of human dignity." Mr. Wilson is the National Convener of the Safai Karmachari Andolan and a member of Church of South India. A Dalit born into a family of manual scavengers in Karnataka, Wilson had seen his parents clean toilets as a boy. His first questions about the inhumane system of manual scavenging, and on why only Dalits were forced to carry night soil for dumping at designated spots cropped up when he was in fourth standard in school.Being a Dalit, Wilson was discriminated against, looked down upon as a child. He was treated as an outcast in school and acutely aware of his family's lot. Although he was spared the labour of manual scavenging and given a chance to pursue higher education, the profession followed by his family and caste haunted his identity as a teenager. The profession, though outlawed by the Indian Constitution in 1993, is still the primary occupation of over 180,000 Dalit families, according to the 2011 census data. Wilson channeled his anger against the inhumane system into a crusade to eradicate manual scavenging. His life and work has contributed in a big way to the movement for eradication of manual scavenging in society. Taking cognizance of Wilson's work in emancipation of manual scavengers, the Magsaysay Award has also flagged manual scavenging as a dehumanizing practice that must be eradicated. This award aims at detaching manual scavenging and sanitary work from Dalits, in the larger context of reforming the caste system, by pushing government agencies to replace manual scavenging with mechanization.